The Direct Action Center in Cambodia (DACC) was established by His Holiness Gayuna Cealo as a branch of Hope of Cambodia, a local NGO managed by Princess Kanthireth Sisowath since 2004. The purpose of the DACC is to create a local base of operation for the smooth administration of all of the Foundation for Global Harmony humanitarian activities in SE Asia. Since 2012, the DACC has been used for many purposes. 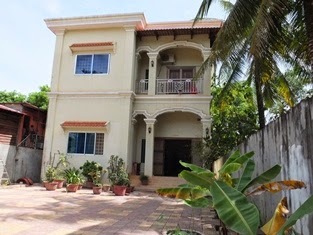 It has been used as a location for many direction action programs under the sponsorship of Gayuna Cealo. 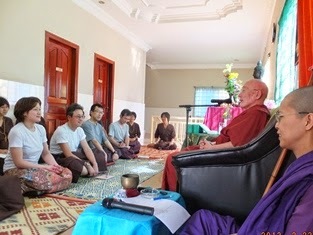 There are Retreats held at the DACC and some Japanese volunteers from the Global Heart Space in Japan and some Myanmar volunteers reside at the DACC. The residents conduct many social activities for local people including leading community service such as road repair and cleaning roads in the village, giving Japanese classes for children, and running a charitable shop for local people where the proceeds of the shop are used to further Cealo's ongoing direct action projects. Also, The Myanmar sewing project is administered at the DACC as well as a vocational training program for youth from an orphanage in Myanmar. Also, the Myanmar sewing project is administered at the DACC as well as a vocational training program for youth teaching practical farming skills and other marketable job skills. to be a security dog! !